Here we've got a car that is really a story all by itself...because what do you suppose the total costs have been on a Bentley Turbo R for the past 126,000 miles? 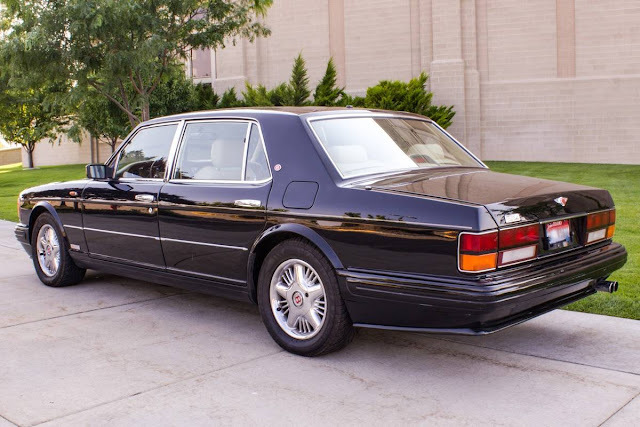 Let's start with depreciation, with a base price of $203,500 plus $12,000 in options in 1997, this thing lost $200,000 in value over the years (or $1.68/mile)...plus the 12,600 gallons of premium this thing consumed at a conservative 10mpg for $37,800 at $3/gal average fuel cost. Add in the cost of consumables like $275 headlights and you've got at LEAST $5000/year for the past 21 years for $105,000. Plus $1200 per year for license/insurance/registration for $25,200...so total WAG for cost to run is $368,000 or $2.92 dollars per mile..which is about $1/mile MORE than taking uber. 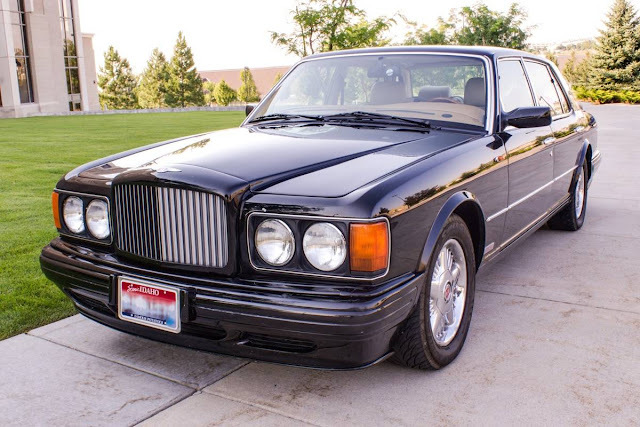 Find this 1997 Bentley Turbo R offered for $15,000 in Pocatello, ID. Tip from FuelTruck. 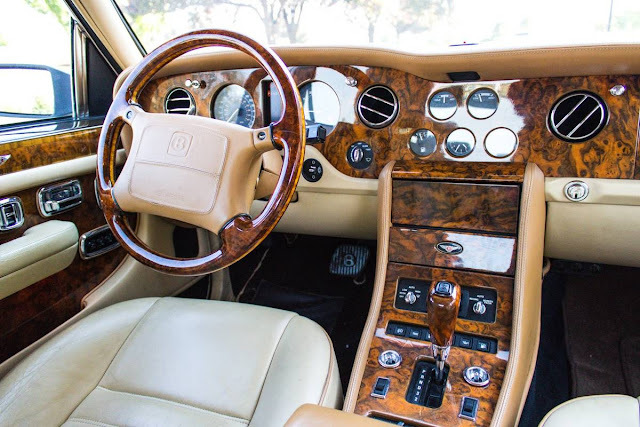 Classic luxury black Bentley with tan leather interior. 6.7L Turbo engine. Take this opportunity to own a true classic at an unbelievable price, a rare find in South East Idaho! Bentley of Southeast Idaho? my WAG is this was a Hollywood refugee's car. Aaron (Jesse Pinkman) Paul was from Idaho... perhaps it is becoming the "New Montana"
The bagman sheesh rajneesh more likely ..
1. Nothing this big should go this fast. So which one of these is real? One of my bucket list cars. Cheap to buy, fairly cheap to maintain actually. Most of the mechanical bits that aren't the engine are just parts from other manufacturers with Bentley specific plugs on them. There is a an extensive owner group dedicated to doing repairs on these cheaply and DIY. For those Bentley specific parts this car still harks back to the good old days of English manufacturing where they just expected you to rebuild the part rather than replace it. So most everything Bentley specific is rebuildable with only minor skills. The most expensive thing about these is the fuel bill. Single digit fuel consumption numbers are not uncommon when they are exercised. This car actually has a good color scheme. Non-offensive cream interior and an exterior that isn't black. This is a OBD-II car has it's own wrinkles. Pro: Modernish Zytec ecu that really does wonders for the turbo compared to earlier cars and main actually be tuneable. Con: Technically this isn't the same car as pre OBD-I cars as far as Bentley is concerned. Lots of small things electrical wise are different. Also lots of electronics in the cabin which aren't quite as simple to repair as the prior analog stuff. You’re a bad influence, Tanj! 6,550 lbs... dang! That's only a few pounds shy of a Ford EXCURSION.... and a full 2,150 lbs. heavier than my '17 Dodge Charger. Wow. Beyond tempting. This thing is epic and appears to be well sorted. Mass'ev boulevard beast. Crack-pipe, but crazy crack-pipe. WOW the #'s. The ad says 6 cylinders ?? i live in poky, and i have never seen this..of course im the type that walks past a ferrari to check out a rusted out datsun.